Sony Interactive Entertainment CEO Andrew House and I have a lot in common. We're successful entrepreneurial businessmen, and yet we've both lost sleep over the company's PlayStation event that's taking place today. Okay, so maybe he's more of a successful entrepreneurial businessman than I am… but the bit about losing sleep is true for us both. Everyone is showing up expecting you to do it. If you don't, well, good luck convincing everyone to come back to watch a second attempt. In just a few hours' time, hundreds of journalists will converge on The PlayStation Theater, underneath Times Square in New York City, to hear House talk about, and I quote, 'the future of PlayStation'. That's like inviting every sports journalist in the world to come see 'the coolest trick shot ever' – everyone is showing up expecting you to do it. If you don't, well, good luck convincing everyone to come back to watch a second attempt. It's a good thing House has a trick up his sleeve. Well, two tricks if we're being specific: the PS4 Slim and highly classified PlayStation Neo. Both are expected to be unveiled, although Sony has yet to confirm either's appearance publicly. Should that be the case, however, we'll truly be entering the start of the next generation, heralded first by the elusive Nintendo NX in March 2017 and followed by Microsoft's Project Scorpio a few months later around the holidays. Before the dawn of the future of Playstation, though, I wanted to give a recap of how we got to this point, what you can look forward to seeing on-stage in New York come Wednesday afternoon and what it will all mean if the PlayStation Neo comes out of the shadows. Project Scorpio vs PlayStation Neo: which is better (so far)? Sony almost slipped one past us. Almost. Sony has been planning the PlayStation Neo – the 4K-capable version of the PS4 – for some time now, but we didn't catch wind of it until February of this year when Giant Bomb learned of its development and procured a technical document listing its specs. For some, the development of a new system three short years after the launch of the PS4 seemed counter-intuitive – why upset the 40 million gamers who just shelled out top dollar for your system only to rub it in their faces that they didn't have the latest and greatest console? However, the reasoning became more clear at E3 2016 when Microsoft announced that it had its own 4K HDR console in the works called Project Scorpio. If Microsoft is charging into the next generation head-first, Sony wants to do it, too. If Sony wants to tied gamers over until its own over-powered console launched it'll need a Slim system as well. But Project Scorpio wasn't the end of the show, Microsoft also used the event in June announce its stop-gap – the Xbox One S. The S can do everything the original system, as well as support 4K video and HDR gameplay, at 40% of the original's size. If Sony wants to tied gamers over until its own over-powered console launched it'll need a Slim system of its own. And that's just what it plans on delivering. I expect Wednesday's show to be divided into two parts – what Sony's going to have planned for this fall (cough, PlayStation Slim, cough) and what it will have this time next year. Let's start with part number one. How can I be so sure that Sony's slimmed down PS4 is ready to go? People already own one. It started with a strange listing on a UK auction website called Gumtree two weeks ago. Someone claimed that they were selling a new PlayStation Slim for £380, roughly $500. There was obviously a lot of interest there, but people needed proof and the original poster obliged. Within a few hours of the posting there were photos and videos of the PlayStation Slim in action. 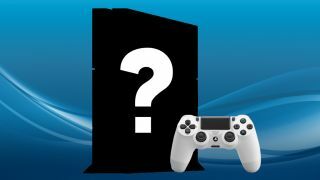 It's unclear where the console came from – whether it was leaked from someone inside Sony HQ or if a retailer received an early shipment and "misplaced" a few units before their slated street date – but, what we can infer from the whole debacle is that the PS4 Slim is nearly street ready and can assume it will launch either the day of Sony's event or shortly thereafter. But the PlayStation Slim's announcement will only be half the show. The other piece – and the real wildcard of the event – is the PlayStation Neo. Here's where things get murky. We know the Neo exists, definitely, but we're not sure how close to production it is or if the specs listed in the original document obtained by Giant Bomb are set-in-stone. We also know that the PS4 and PlayStation Neo will share the same content library. House was crystal clear about that. But, that said, some games will run better on the Neo – and in much higher resolutions and framerates – than on the original PS4. And then there's the PlayStation VR to consider – Sony's first foray into virtual reality comes out on October 13. Will the Neo accompany the headset's launch or will we have to wait a year for the premium VR experience? How much better will the performance be on the Neo compared to the original and/or Slim? Will the Neo impact when – or better, if – the PS5 comes out? Will the Neo impact when – or better, if – the PS5 comes out? These are the kinds of questions I lose sleep over. I want a better PlayStation console, even if that means paying a few hundred out of pocket to get it. We do it for phones every other year – maybe it's time consoles did it as well. But opening consoles up to the world of micro-upgrades sticks us with a world of new problems. Sure, every app and game works wonderful on the iPhone SE and Samsung Galaxy 7, but the rest of us sporting a 4S or Galaxy 3 are relegated to less-than-stellar experiences. Is that the future console gamers can look forward to? I guess all we can do now is wait until today's 3pm ET / 12pm PT / 8pm BT keynote.